CAN CAN FLOS LIGHT - Flos Can Can by Marcel Wanders; unique can can modern pendant provides brilliant light. Like jewelry for your ceiling, these stylish and high-quality lights add sophistication to any home. Can Can has been a protagonist in interior design editorials since it debuted at Euroluce Milan earlier this year. 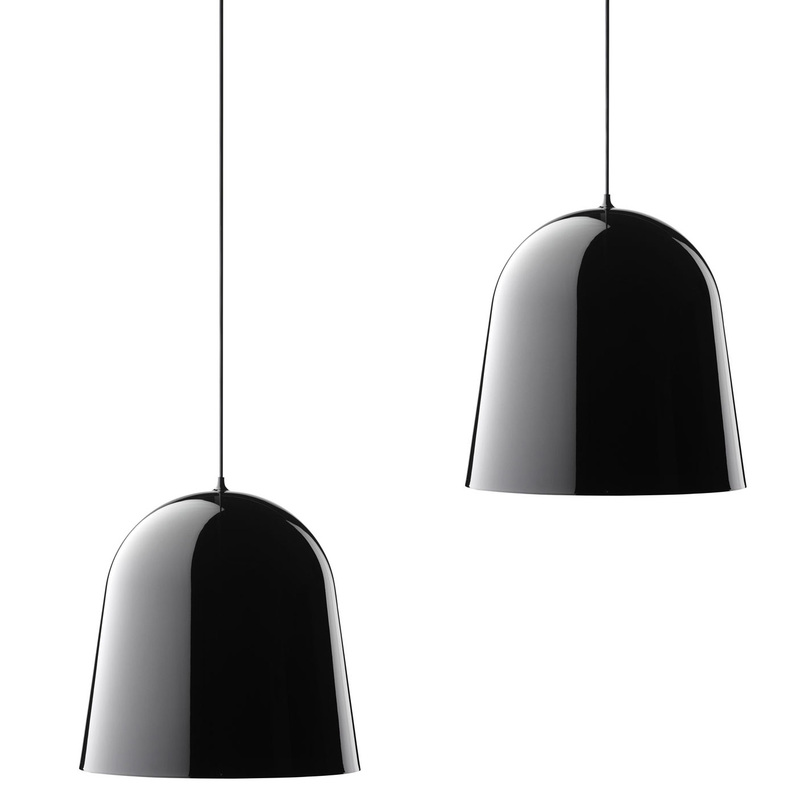 It is available with a black or white exterior and diffusers in transparent, yellow or fuchsia. The Can Can Lamp by Marcel Wanders is made by Flos in Italy. We at Stardust have a saying: ask not what your country can do for you - ask what you can-can-do for your country! 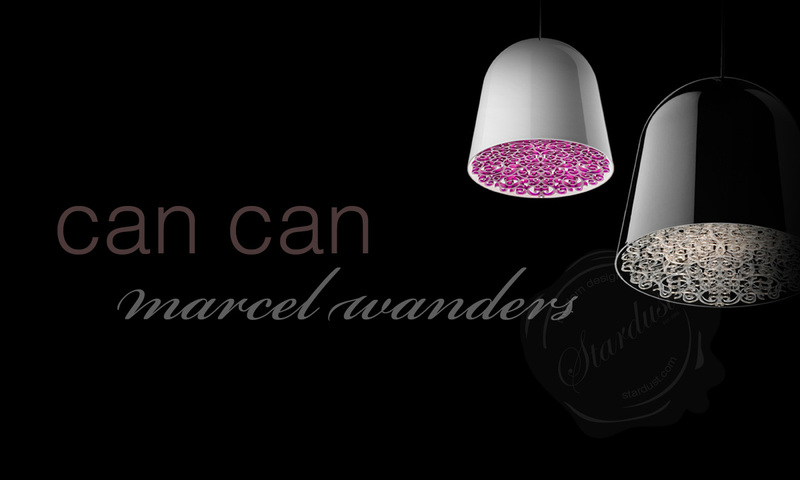 We were always under the impression that Cancan was a Parisian dance but Marcel Wanders has proven us wrong. 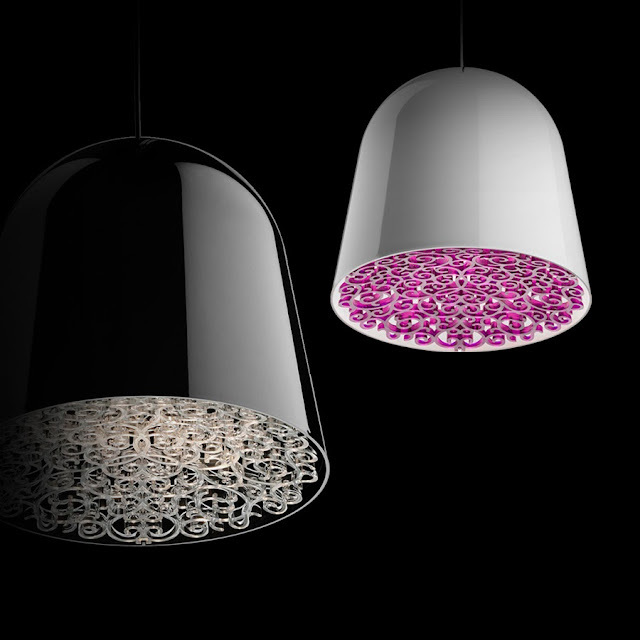 Can Can is a witty contemporary new creation by Dutch wunderkind-designer Marcel Wanders for Flos. From the outside the bell-shaped Can Can looks perhaps like any other sleek and contemporary pendant lamp, but looks can be deceiving! 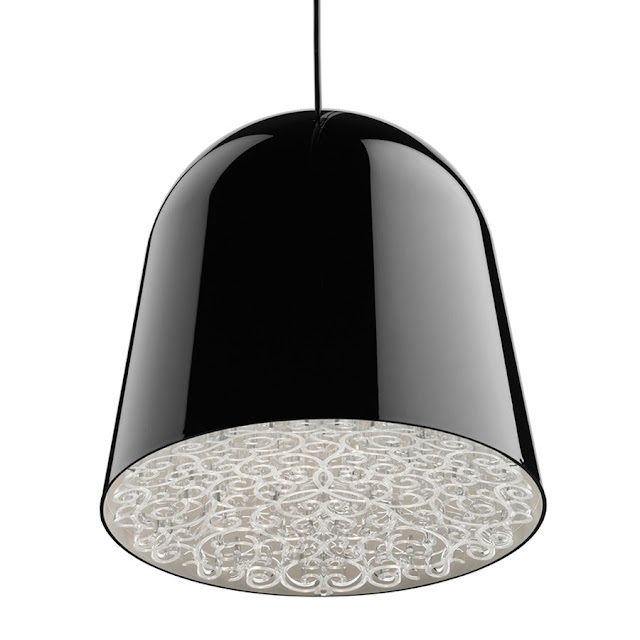 Take a peek upwards and Can Can reveals a superb intricate pattern designed by Marcel Wanders. Turn on Can Can in a dark room and you'll see a tapestry of light as the polycarbonate filter breaks up the light bulb's beam. Simple and subdued at a distance, but decorative and bright when seen up close, the Can Can displays an attractive focal point in any space.